Once again it has been a little bit since we shared an interview, but fret not it was worth the wait! You may already be familiar with the broad array of talent Julianna Szabo possesses through our post about her Silk Road Film Festival typographic pieces, wowing us with the miniature versions of most parts of the globe. 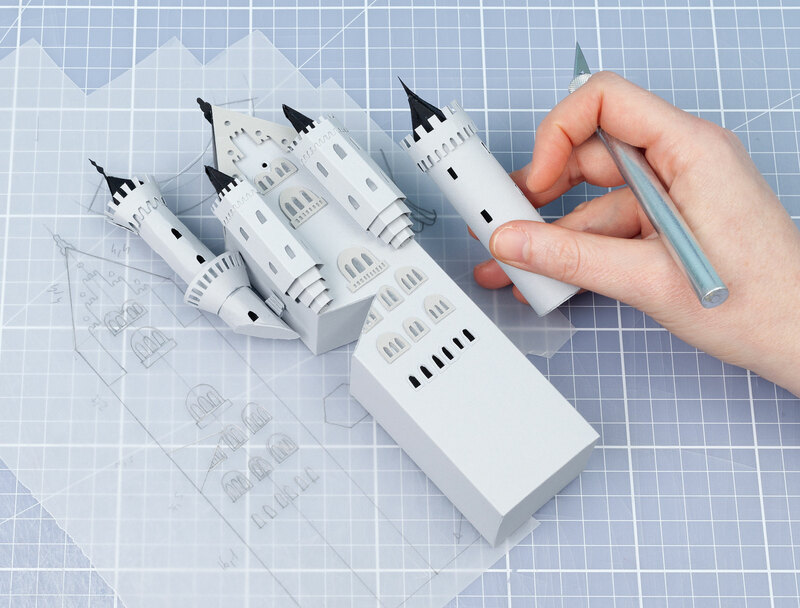 Sometimes her work also features stop motion animation, bringing to life these wonderful three dimensional set designs. This interview will take a deeper look into her background, process and how she got to where she is today. Enjoy! 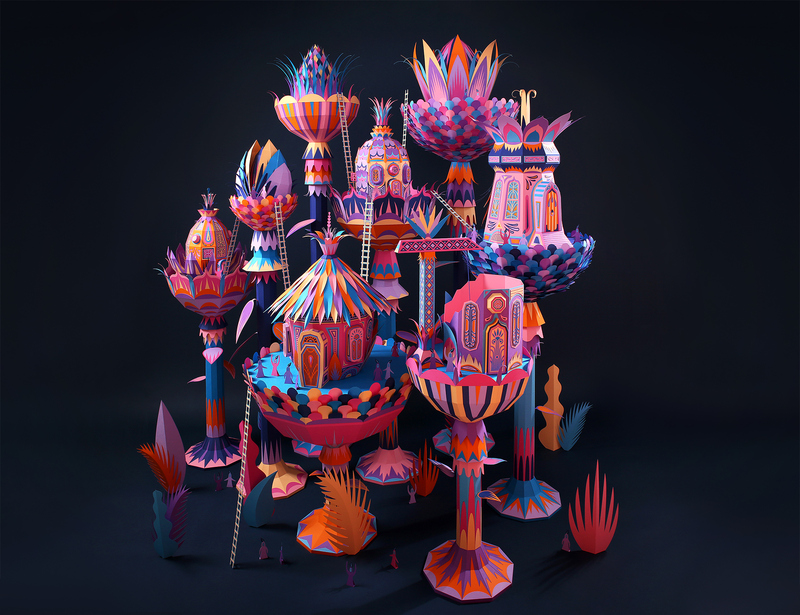 It's been a little while since we have had an interview grace Strictlypaper, and I am more than thrilled to share our interview and the incredible works of none other than Bristol based paper artist Sam Pierpoint. 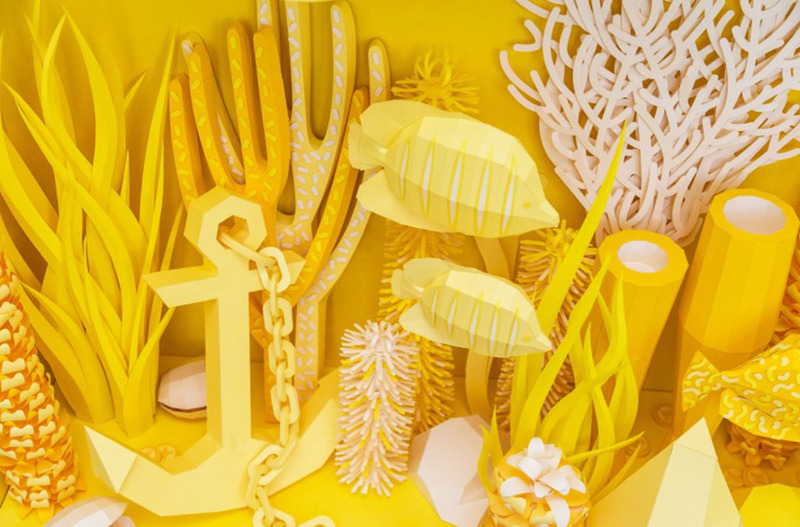 Her paper sculptures are astounding! The amount of detail that is carefully placed into each is truly unique. Sam also has an incredible range spanning advertising campaigns, magazine covers, editorials, installations, set design, product packaging and window displays. We have already had the opportunity to see some of this range through her Christmas campaign for Bristol. All in all her works are well thought out visual masterpieces, so I implore you to enjoy this look into Sam Pierpoint. 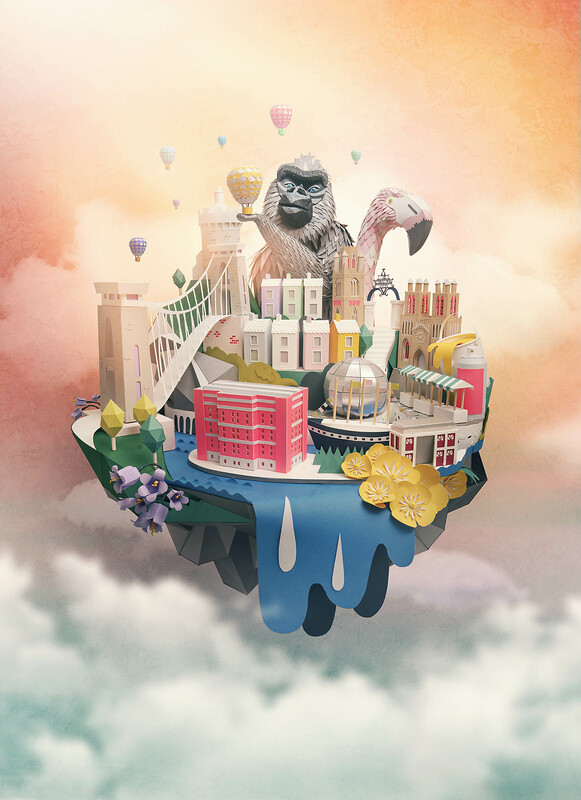 The French duo Zim and Zou have graced us with their stunning works in the past, from vintage electronics to colorful chef's masks covered in festive fruits and veggies. All in all, their work has an underlying theme of colors in unique combinations and their attention to detail. These two papercraft window displays are for the opening of a new Hermès store in Dubai (Mall of the Emirates). Through this project, spectators have a sneak peek at the curious characters living inside this nature filled environment. One window has a motif of a mushroom village, while the other shows blooming flower huts. This microscopic point of view shows plants and other vegetal life reigning as masters, like a kind of picture, a flash, a precise instant in nature’s unrestrained run. 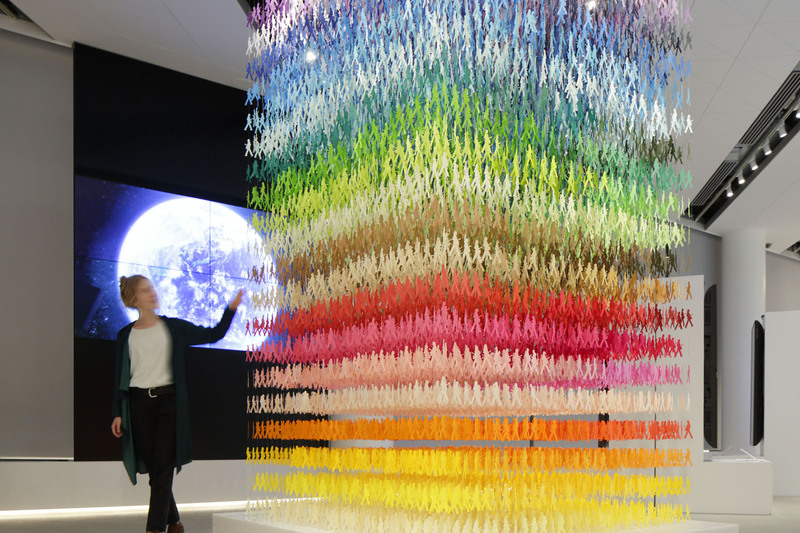 Emmanuelle Moureaux has done it again with this visually stimulating scene featuring more than 25,000 colorful paper flowers slowly spiraling along their individual lines around a 6-meter atrium at the multi-purpose cultural center of Omotesando in Tokyo. We have been wowed by her work previously, and this in particular is part of her newest interactive installation, "Color Mixing," where the French-born, Tokyo-based architect has transformed this atrium through her vibrant works as part of NSK’s 100th anniversary exhibition, "Setting the Future in Motion." 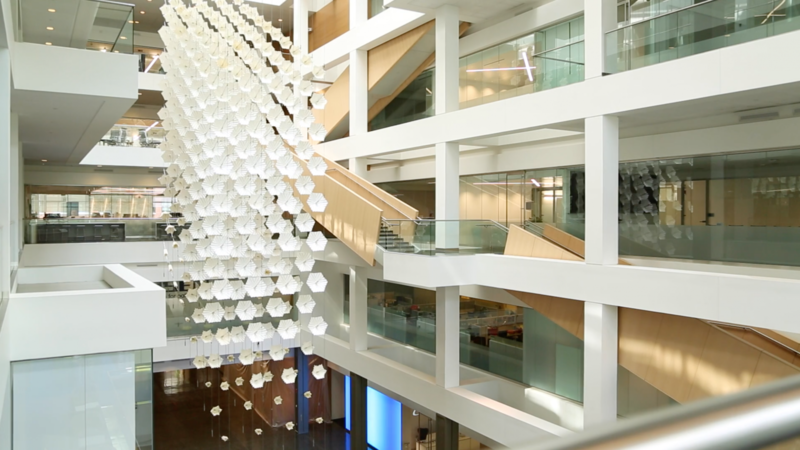 In order to convey the technology of NSK simply and beautifully, Moureaux presents this enormous installation to show the movement of colors using bearings. As visitors move into the spiral atrium, they are immersed in Moureaux’s colorful paper world. This empty space has now become a secret garden where flowers pour down in hundreds of different colors. 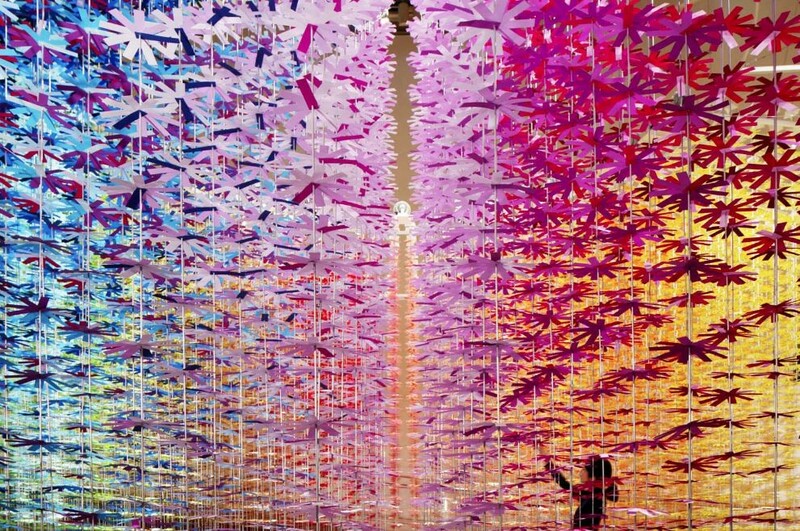 Emmanuelle Moureaux is a French architect that has been living in Tokyo since 1996. 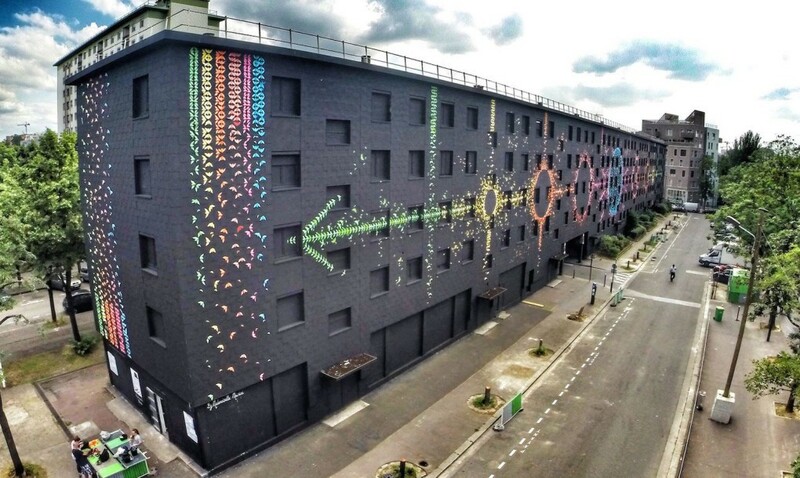 There she established "emmanuelle moureaux architecture + design" in 2003. Inspired by the layers and colors that Tokyo provides, channeling complex depth and density on the streets, and the Japanese traditional spatial elements like sliding screens, she has created the concept of "shikiri", which literally means "dividing (creating) space with colors". She uses colors as three-dimensional elements, like layers, in order to create these fine tuned spaces, not as a finishing touch applied on surfaces. Handling colors as a medium to compose space, her wish is to give emotion through colors with her creations, which range from art, design to architecture. In this series created for the Exhibition "Space in Ginza" at METoA Ginza in Tokyu Plaza Ginza, Emmanuelle revealed an installation that uses centimeter-level measurement accuracy of the Quasi-Zenith Satellite System (QZSS) as a motif. The interactive installation gives form to the high precision technologies in a beautiful visual form. 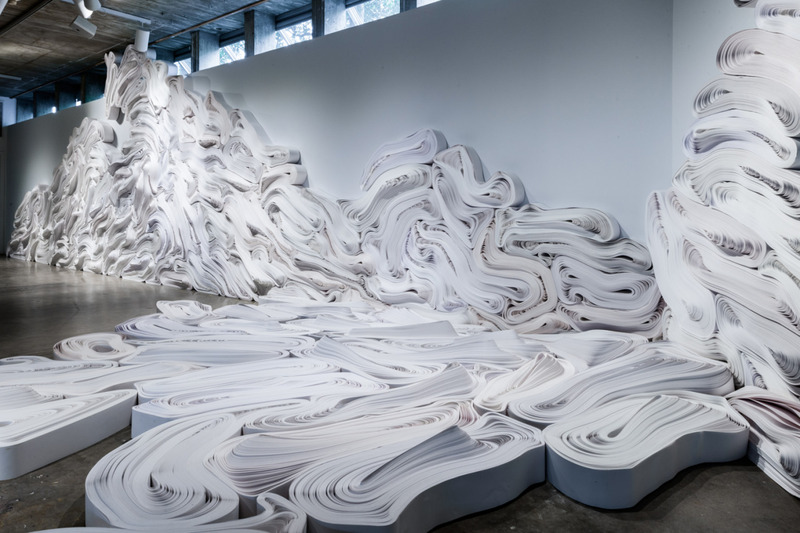 Mixed media artist Travis Rice has taken paper art to a whole other level with his psychedelic installations. 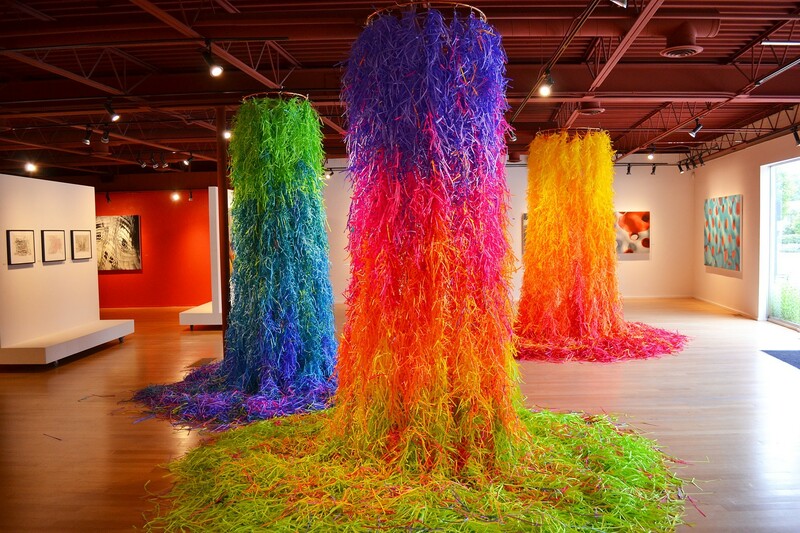 They literally burst with life, overflowing with colorful shreds of paper by the thousands. With the use of a document shredder, meticulous placement and patience, he is able to create these beautiful scenes, that only naturally make your imagination run wild and with names like 'Cotton Candy Cesspool' and 'Rainbow Dyed Psychedelic Hallucination', you are transported into these technicolored worlds. The works themselves embody the theory of creating a sense of movement, much like impressionist painters where on canvas the same is conveyed through blurry backgrounds and streaked, painted lines.